I shot this with my Nikon D5100 and processed it with the Snapseed app on my iPad, using the vintage filter. Snapseed is the best app I've found so far for the iPad and iPhone -- it's not as powerful as Photoshop, but allows for some nice adjustments to bring most photos up to snuff, along with the filter options. 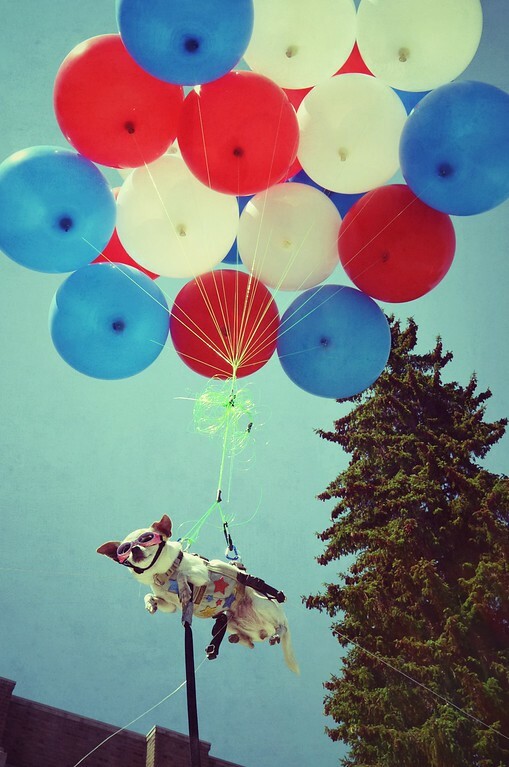 One of my faves this year -- there are only so many chances in life to photograph dogs wearing goggles suspended under red, white and blue helium balloons. Please check out my portolio and follow me on Twitter.